The Curtis Mathes Company was well known for their three main types of turntables, record players, and phonographs that they developed over the years. 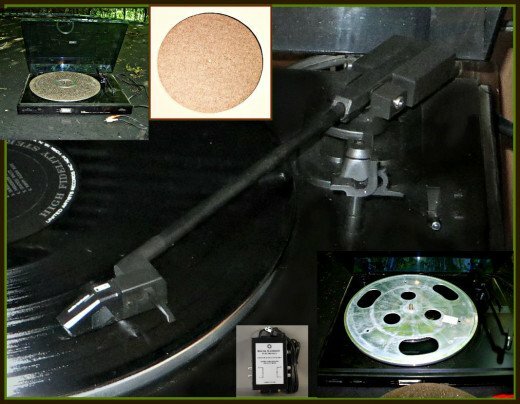 From the remarkable early days of the late 1950s with their first phonograph drives that they manufactured with idler wheel designs all through out the 1960s, to the direct drive turntables of the 1970s, and 1980s. 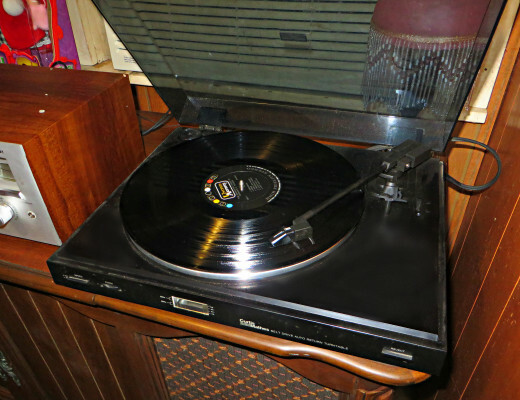 Their state of the art belt-drive turntable came out in the late 1980s and early 1990s and was the company's last innovation in their fine line of record players and turntables. In the Curtis Mathes belt-drive turntable the Mathes made motor is located off-center from the well balanced platter, and is connected to the platter or counter-platter by a remarkable drive belt made from the most advance elastomeric material made at that time. The Curtis Mathes C-155 has Amazing Quality in Sound Output. By the late 1980s the Curtis Mathes Turntable Design Department realized that once the rotational stability could be maintained in the turntable design one could gain amazing quality in the sound output. With their new and remarkable Curtis Mathes design of their belt-drive turntable the company was able to use a less complicated and less expensive motor than the old Curtis Mathes direct-drive turntable. An added bonus to the belt drive was that the remarkable elastomeric belt would absorb almost all the motor vibrations and prevent that noise from otherwise being picked up by the very sensitive state of the art Mathes stylus. The Curtis Mathes Turntable Playing "Wonderland by Moonlight"
Curtis Mathes engineers realized in the late 1970s that they need to design in their high end audiophile turntable designs the use of the synchronous motor, which are much smoother running and have a very low noise threshold. The technicians and designers at Curtis Mathes knew of the existence of instabilities in mains of electricity, so to ensure pitch stability in their turntables and record players they had the player generate its own sinusoidal wave-form to power their new turntable design AC motors. 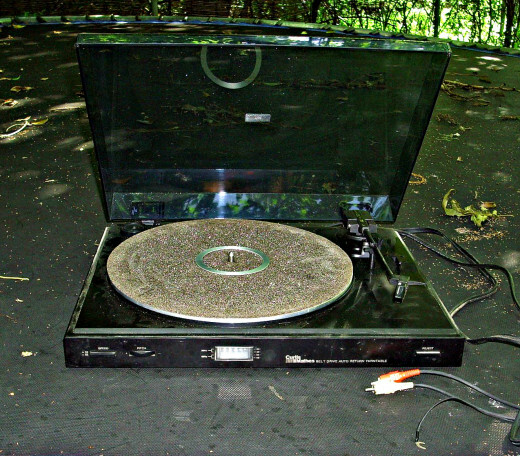 Also another method used at Curtis Mathes at achieving stability includes the use of optical sensors on the record players platter which feed back to the remarkable and sensitive electronics. A true Classic the Curtis Mathes Model C-155 Belt Drive Turntable ... Has pitch control, plays 33 LP or 45 records, 45 center adapter included. The early experimental Curtis Mathes belt-drive turntables that had multiple speeds and had built in mechanical devices, or simply rely on manual effort of the owner to move the belt between different-sized pulleys on the well balanced turntable motor shaft. The technicians at Curtis Mathes realized in the early days of the belt drive turntables that because of difficulties in designing turntables with multiple-speed synchronous internal motors they would have to use DC servomotors in their designs. They soon realized the disadvantage of these DC servomotors because they rotate in steps rather than continuously with the resulting unwanted cogging noise during playback. So by the time floor model belt driven turntable came out of the Lab the helical armature motors was used to overcome this cogging issue. The ongoing problems with belt the instability; and unwanted deterioration in the past were solved by use of modern lab created elastic polymers created at the Curtis Mathes research labs. Played on a Curtis Mathes C-155 Turntable, "The Best of Mancini"
In most new belt drive turntable's since the late 1980s the motor is either located underneath or outside the low profile turntable deck's platter. The motor is not centered on the platter to reduce heat and friction, and since it is connected to it by means of a remarkable and well balanced elastomeric elastic belt the heat from the motor is displaced outward not inward. The state of the art Curtis Mathes turntable motor is connected to the platter using a rubberized elastomeric belt. The mechanism is for spinning the platter of the turntable, and this amazing turntable's belt can absorb the unwanted vibrations from the motor. Most high fidelity decks of today like the Curtis Mathes model are usually belt driven. The Curtis Mathes C-155 has an Expense Elastomeric Elastic Belt. Many cheaper belt turntable generally have poor resistance to LP and 45 vinyl records skipping, but not so with the Curtis Mathes C-155. In most less expensive turntables the belt will eventually wear out, and will need to be changed. But the Curtis MathesC-155 you have an expense balanced elastomeric elastic belt. This belt will not slip over time, and the Curtis Mathes belt driven turntable platter speed will not be compromised. The Curtis Mathes C-155 belt drive turntable has advanced electronics and remarkable Quartz control which, is very sensitive to even the slighted change, and makes corrections when needed. This advantaged in design makes for years or listening pleasure. The Curtis Mathes C-155 Turntable playing "Uptown Country Girl"
To connect your Curtis Mathes C-155 belt driven turntable to a newer receiver I recommend the Bozak M model CLK-PH2. This is a superb preamplifier that can convert the phono signals to smooth and ready line-level using standard RIAA equalization. 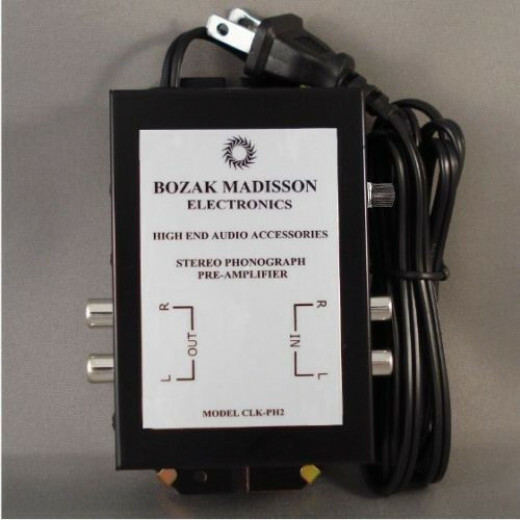 This Bozak M model CLK-PH2 is ideal for amplifying and EQing the Curtis Mathes vinyl record player to interface with most any main or monitor systems. The Bozak M model will allow use of a Curtis Mathes Belt Driven turntable on any newer stereo receivers, or amps. This making any AUX or input on a receiver perfect for your CM made record player. The Bozak M model will allow use of a Curtis Mathes Belt Driven turntable on any newer stereo receivers, or amps. This making any AUX or input on a receiver perfect for you CM made record player. The Curtis Mathes C-155 model is an awesome automatic belt-drive turntable that can plays both 33 1/3 and 45 rpm vinyl records. It features a brushed aluminum platter made of the finest alloys and a state of the art switchable preamplifier. It is equipped with a top of the line dual magnet stereo cartridge with a replaceable diamond stylus. The tonearm on the Curtis Mathes C-155 is quite balanced and fitted with a remarkable soft damping control. The turntable can be directly plugged into most vintage amplified speakers, but I recommend the Bozak M model CLK-PH2 preamplifier for newer receives, because it can convert the phono signals to smooth and ready line-level using standard RIAA equalization. Curtis Mathes Turntable playing, "Sounds of the Great Bands!" 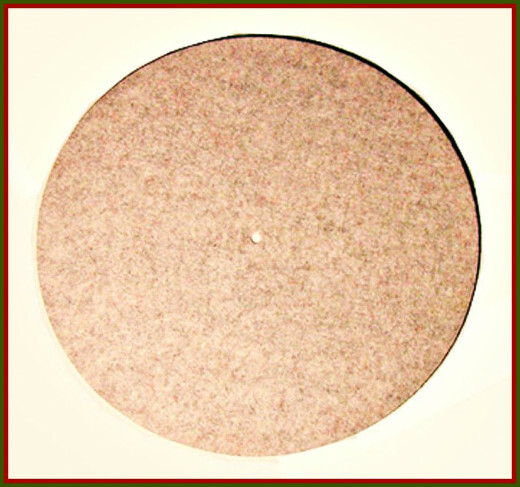 In the photo below is a Carbon Fiber felt turntable platter mat is a must have for the Curtis Mathes turntable. It has has anti-stati built in the remarkable design. It is static electricity that is created when a record is played on a record player. This static electricity is created during record play, and it causes the crackling and unwanted scratchy noises you can sometime hear on older turntables. 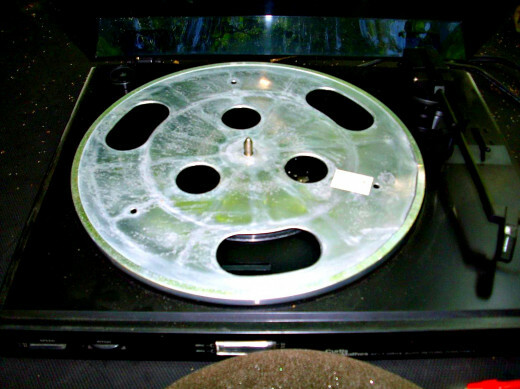 Also the older rubber or plastic mats are is dust magnets that ruin the record playback. This carbon fiber felt mat is designed to discharge the static electricity of the record during play and prevent dust build up on the LP. So that after the record is finished playing on the turntable all you have to do is simply brushes off the dust. The carbon fiber felt mat measures 11 3/4" Dia. x 1/16" thick, and can be found on EBay. The research labs at Curtis Mathes came up with the formula for the dura-belt fabricate in the late 1980s for the Curtis Mathes record players and turntables. This remarkable belt is resilient and endless regains its strength and elastomeric belting ability. In a high end turntable an elastomeric drive belt is a must for years of great flawless playing. The Curtis Mathes Company was able to sell this remarkable belt formula for applications for power transmission for roller and conveyors too many manufactures, and the results have be outstanding. Only the finest of metal alloys were used in the creation of the Curtis Mathes turntable platter. It metal must have remarkable strength, be light weight, and above all durable. A turntable becomes a real record player when you add a tone-arm, and the Curtis Mathes C-155 tone arm and cartridges is this best. As you know the cutting stylus rides across the record on a bar from the circumference of the record to spindle of the platter, and the Curtis Mathes tow arm and stylus following a true radial path always at the correct right angles to the line of sound motion of the groove. This gives the Curtis Mathes C-155 accurate reproduction, the Curtis Mathes C-155 playback cartridge is always point straight down the groove, so you know it is always doing its best. The Curtis Mathes C-155 playback stylus is in a well-balanced factory adjusted tone arm, which is designed to pivot, and making a curved rather than a straight track across the record. This tow arm and stylus do not wiggle or distort and the record show no wear and the stylus always plays the music evenly with no tracking errors. Over 80 years of experience and know-how when into the creation of this Curtis Mathes C-155 belt driven turntable. Athens Texas the Home of the Curtis Mathes Company Headquarters.